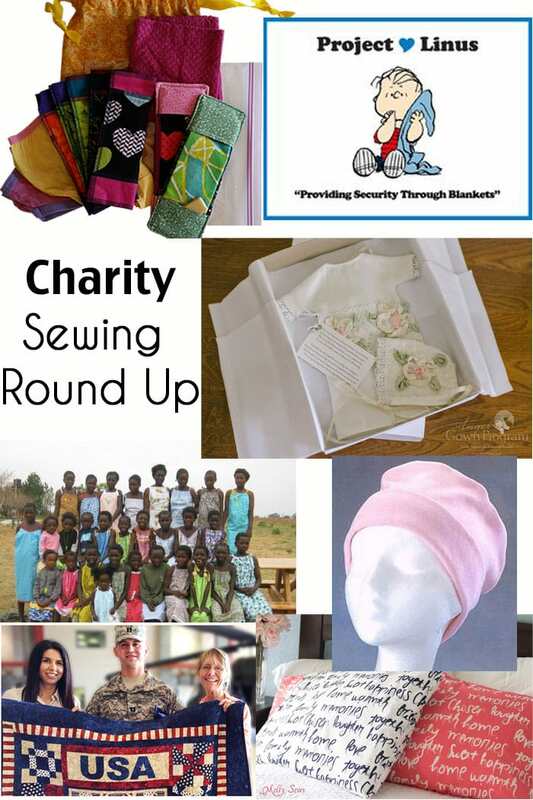 Rounding out Sewing for Charity month, I’ve gathered links from around the internet for you to get involved in charity sewing. Please note that I have not personally donated to or investigated many of these organizations (I’ll tell you about the ones I have personal experience with); do your own due diligence so that you feel good about giving where there is need. The Angel Gown Program – this program makes bereavement gowns for babies, many of whom were stillborn or premature. Volunteers sew the gowns from donated wedding dresses (so if you want to donate a wedding dress, you can help that way too). ConKerr Cancer – this organization wants to bring smiles to child cancer patients by giving them brightly colored pillowcases. I’ve donated to our local chapter with these Happy Home pillowcases. Days for Girls – mission is to get sanitary supplies to girls in underprivileged countries to help keep those girls at school instead of missing days monthly. Dress for Success – this organization dresses disadvantaged women to succeed at job interviews and in jobs. I have participated in sewing clothing for our local chapter and donating it; if you have a local chapter you may see about their needs – ours loved the simple, professional knit skirts we made and has already requested more. I’m linking to my local chapter but there’s a locator that you can use to find your local chapter. Project Linus – this organization gives handmade blankets to seriously ill or traumatized children. Quilts of Valor – this organization, which I am a member of (you don’t have to be a quilter), presents combat veterans with quilts honoring their service. Skirting the Issue – this event is hosted each July by Simple Simon & Co. They ask you to sew skirts for girls in foster care. You don’t have to send skirts to them; you’re welcome to donate yours locally too. I’ve participated in this one for the last 3 years and I think it’s a great way to reach out. More ideas – local nursing homes and rehab facilities might appreciate wheelchair and walker caddies, military and hospitals appreciate comfort items, women and children’s shelters may need clothing and household items, you can sew up drawstring bags and call your local homeless shelter to ask what to put in them to donate for them to pass out. Know of any more charities to sew for? Please leave comments and I’ll update the list periodically. Thank you for gathering all this information and posting it all in one place. Very helpful! 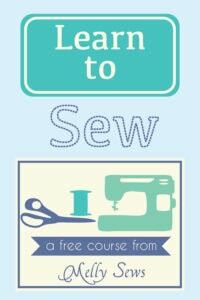 How about sewing for Newborns In Need, Inc.? 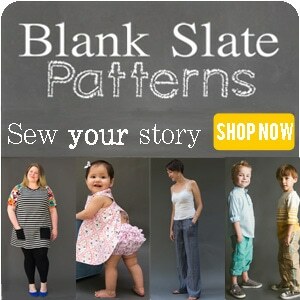 Check out Quilts For Kids. I sew dog beds and crate mats for local animal rescue organizations. They also have fundraisers like auctions and adoption event sales where I donate handbags, wallets, aprons or anything somebody might want to buy. Best to check with them first though. Every organization has different needs. I was so moved by the effort you took to put all these amazing charity organizations together in one place. I’m inspired to contribute! I didn’t know if you knew of one called Dress a Girl around the world (I think). A friend’s daughter participated as her school project year before last. This is wonderful! I would love to have a link to my FLUFF Project added! 🙂 We regularly collect and deliver stuffed friends for children in foster care. You can read more here, http://hopefulthreads.blogspot.com/p/fluff-project.html Thanks! Thanks for sharing! I have had the unfortunate pleasure of working with the Angel Gown Program via NICU Heping Hands when a friend lost her baby. It was such a beautiful experience and a small comfort to her family to have her baby laid to rest in a carefully made gown. Thanks for all you do!